Finikia Santorini - The less known beautiful village in Santorini. 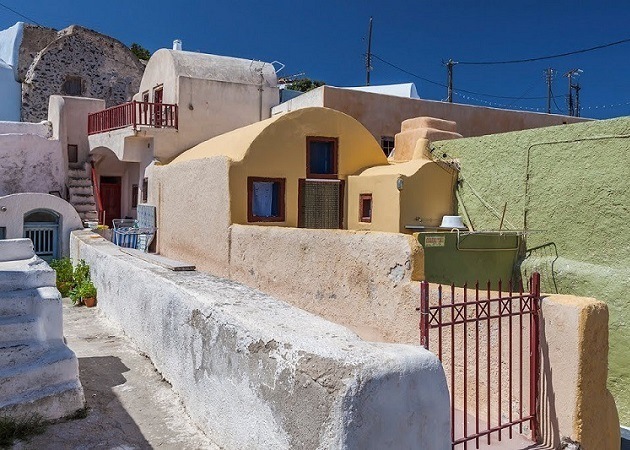 Finikia Santorini, is located only 2.5 km east of Oia village. It is a small quiet and one of the most beautiful villages in Santorini. Finikia wasn’t so much affected by the earthquake in 1956, therefore numerous traditional cave houses are still standing and reminding to visitors the village’s past. Till 1930 the main occupation of local inhabitants was wine production. The alleys of Finikia are colourful and breathtaking. A characteristic spot of the village is the Agia Matrona church, built in 1859, and from there you can enjoy the unlimited view of the Aegean Sea and the sunset. Despite the size of Finikia, small, quiet and unexplored, there are hotels in the village as well as in the surrounding area near the vineyards, where you can enjoy a relaxing vacation.